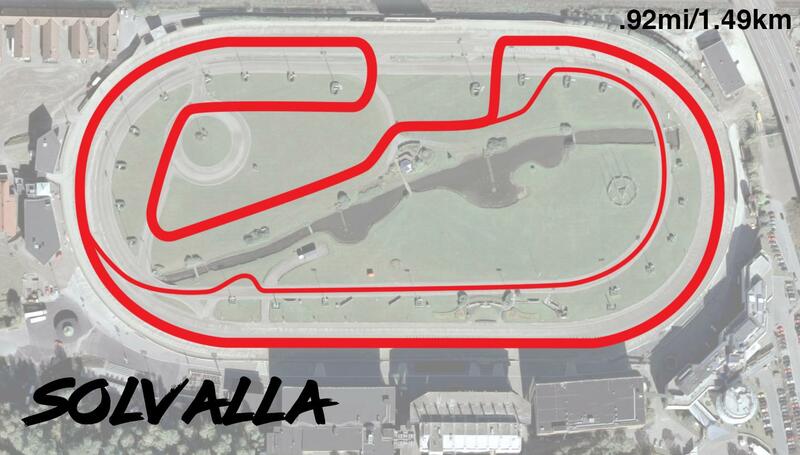 Messed with the Solvalla STCC circuit. The current track is SUPER awkward and really uninspiring, so I decided to try and improve it. It uses a lot more of the trotting oval for higher speeds, and a few passing areas in the "infield" portion. How about just two chicanes, like Rafaela? I like that one Matt! 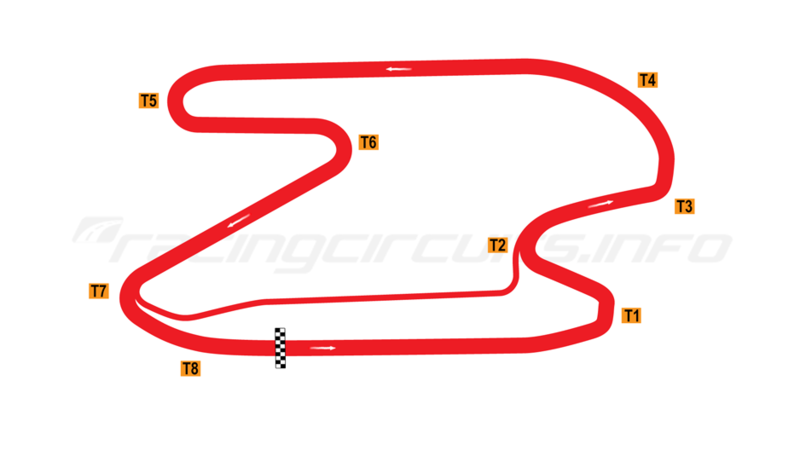 How about a circuit which is only on the infield (with connections to the outer circuit)? Here is the layout of my anti-clockwise circuit. Light blue is the pit area, purple are the grandstands. way too short for full-size cars. Yeah, that pit area is too small even for karts..